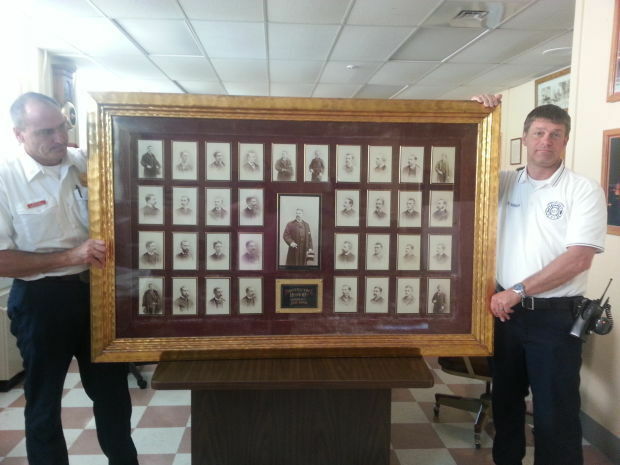 AUBURN | A piece of history came back to the Auburn Fire Department this week when a collection of 132-year-old photographs of firefighters was returned from a downstate fire museum. However, mystery lingers around the identities of some of the firefighters pictured. On Aug. 11, a collection of photographs taken in 1882 of the 35 men who comprised the Protective Hose Co. in Auburn was returned to the AFD from the Volunteer Firemen’s Hall and Museum of Kingston, N.Y. 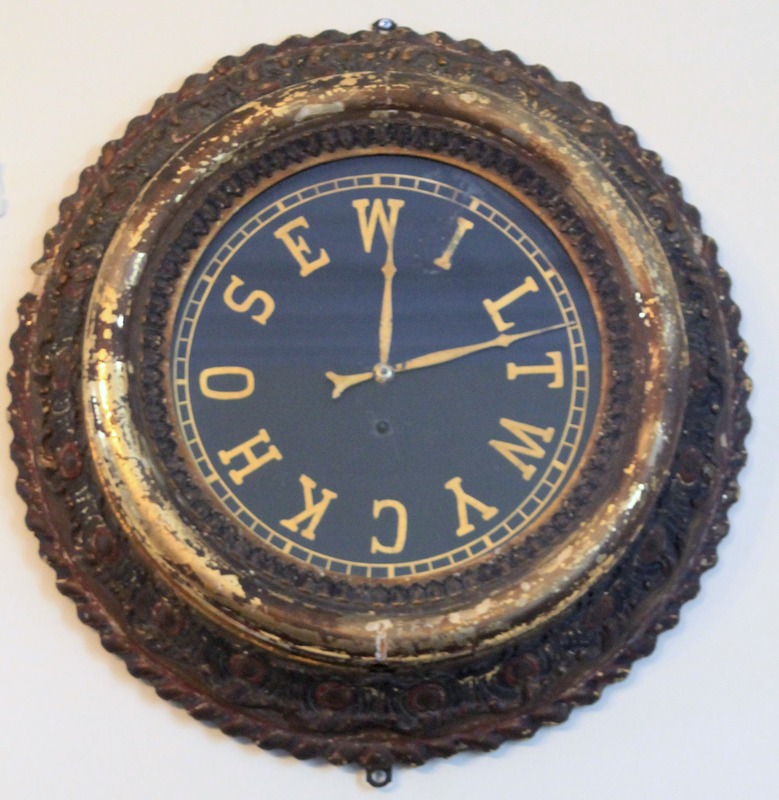 Original clock from 1860, cleaned and repaired by the Kingston Clock Shop on North Front street in Kingston. 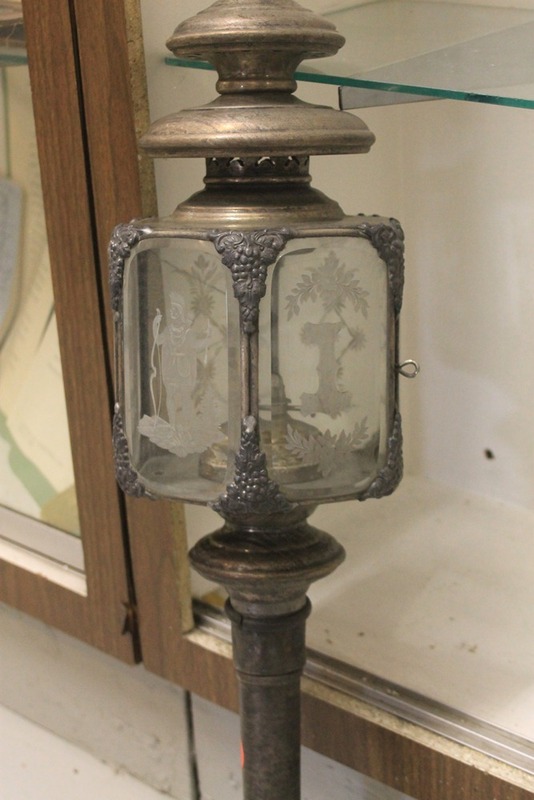 The clock case is wooden and had to be put back together, several gears were broken and the glass on the door was missing at the time the clock was brought to the shop. The folks at the clock shop donated their time and parts to fix the clock. The clock is gold gilded and over the years of hanging in the fire house it became discolored from the fireplace and kerosene lamps that were used in the building. 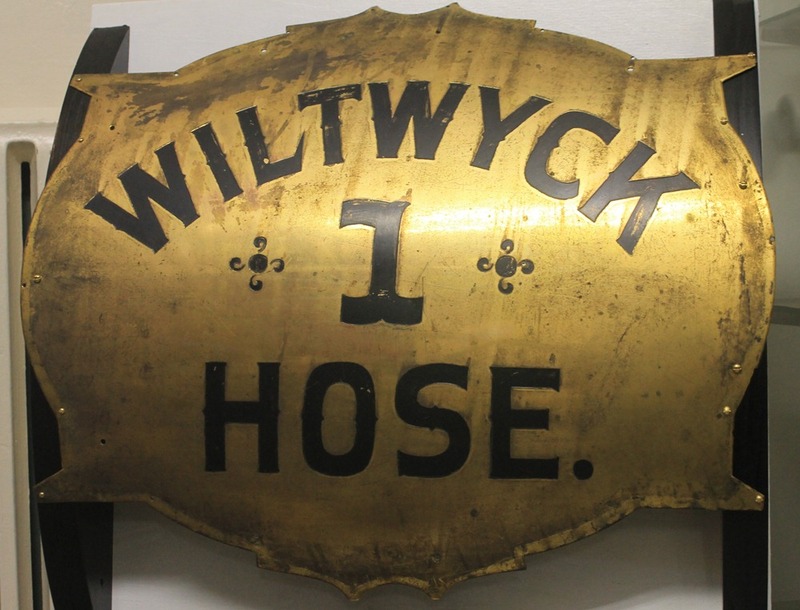 It originally hung in the museum when it was first built as a fire house and is a great piece to have back in the building in working condition. 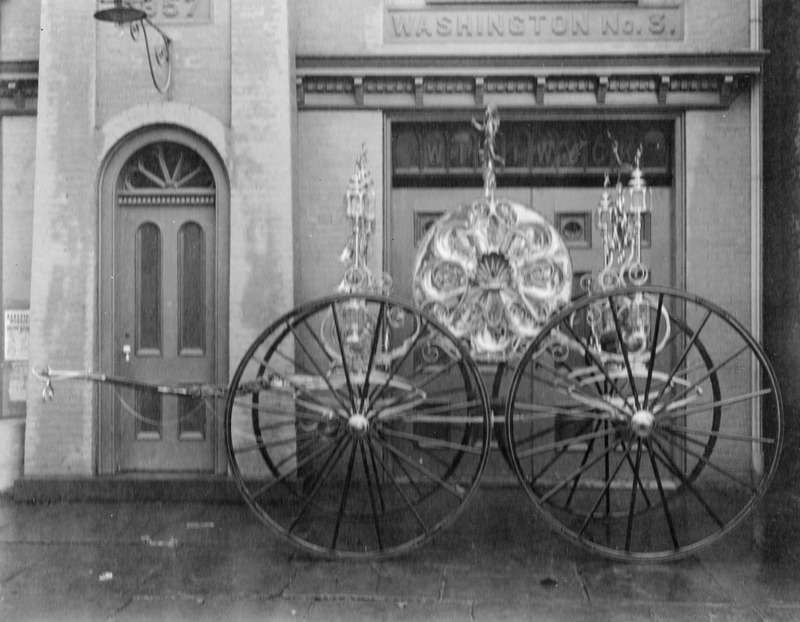 The photograph above is the 1890s Wiltwick Parade Wagon. Sadly, the parade wagon was dismantled and the museum only has a few pieces. 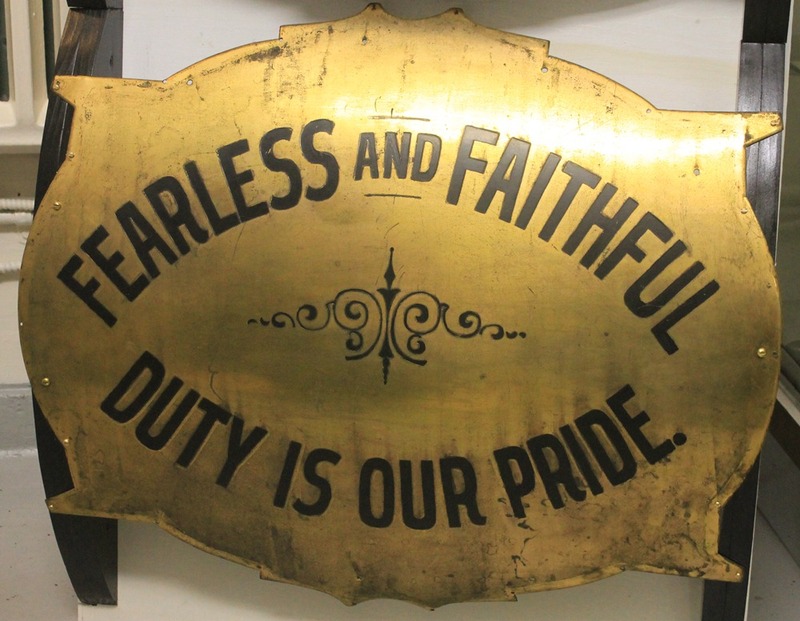 Pictured below are a few of the remaining pieces we have on display at the Kingston Volunteer Firemen’s Museum. The front display wagon panel. The rear display wagon panel. Have missing pieces of the Wiltwick Parade Wagon? 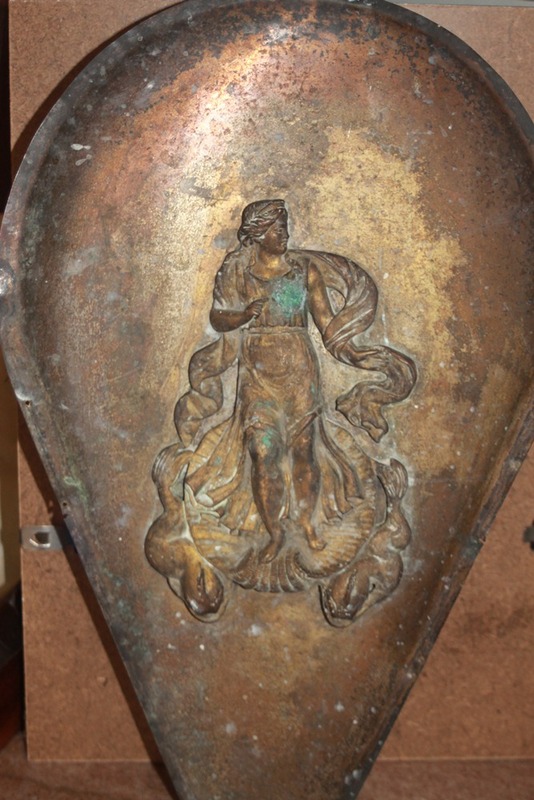 We’re hoping to obtain other pieces to add to the exhibit. Email or call us and we’ll display the pieces at the museum for everyone to enjoy! 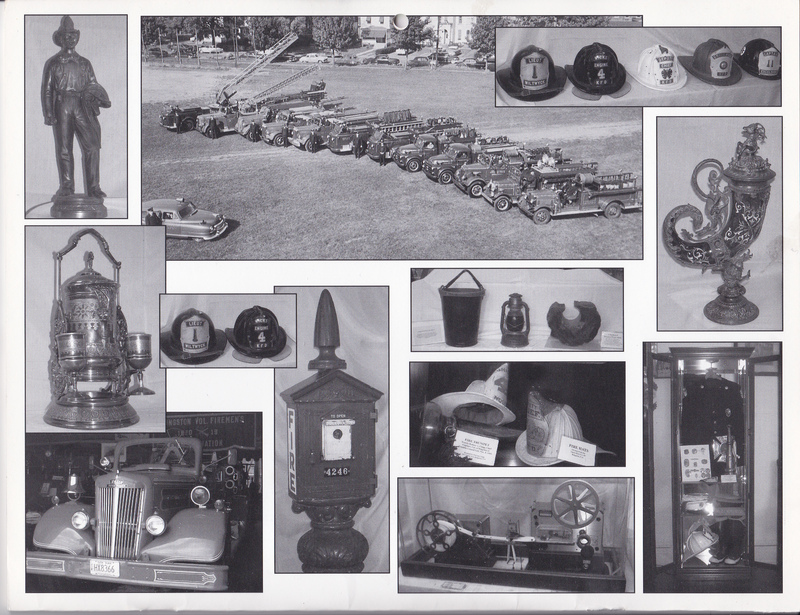 Below is a collage of memorabilia from the museum. 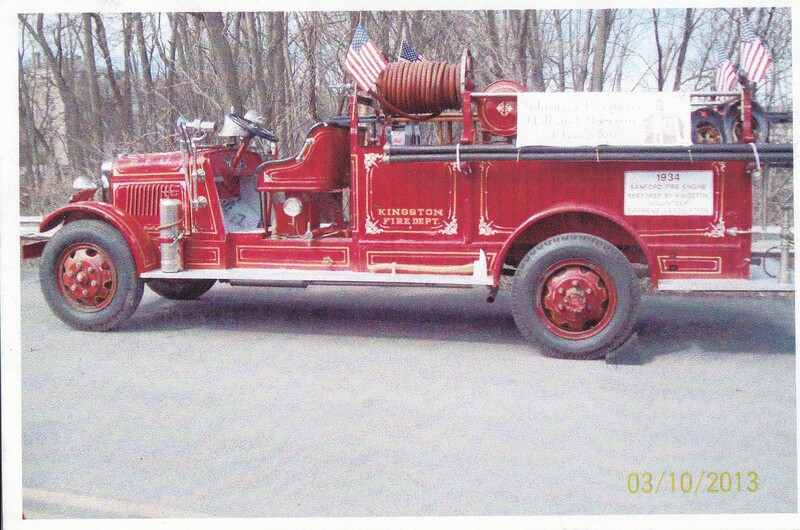 Pictured above is a 1956 American LaFrance Fire Engine from Union Hose No. 4 Volunteer Company. 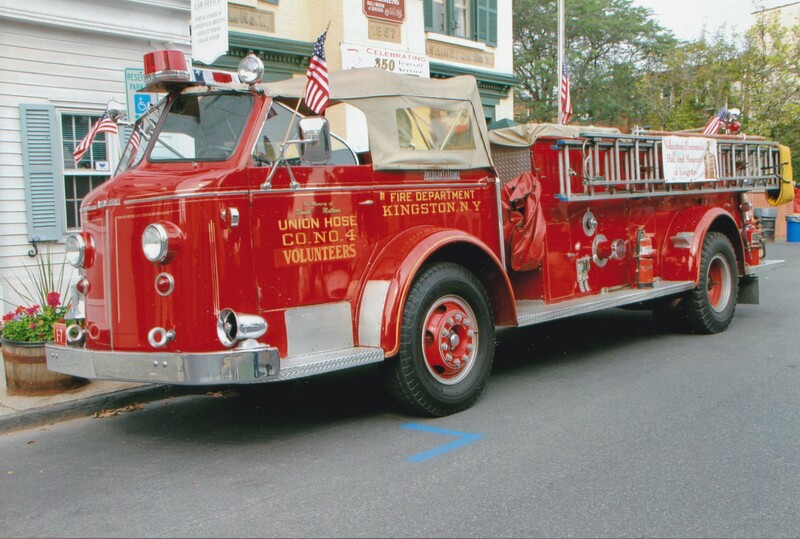 The Rapid Hose Volunteer Fire Company is the oldest active company in the city of Kingston. The photo below is from the early 1900s. 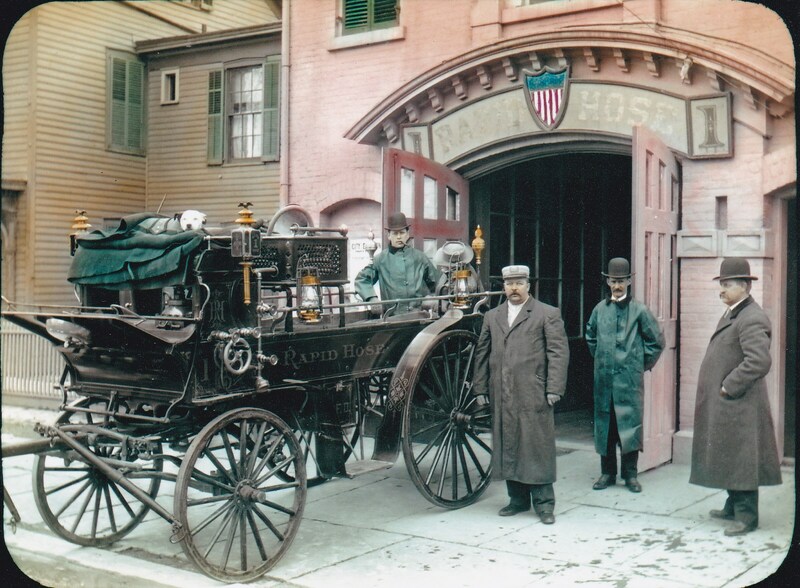 Have more information and photos of the Rapid Hose Fire Company? Great! Email them and we’ll share the pictures and information here and in the museum!